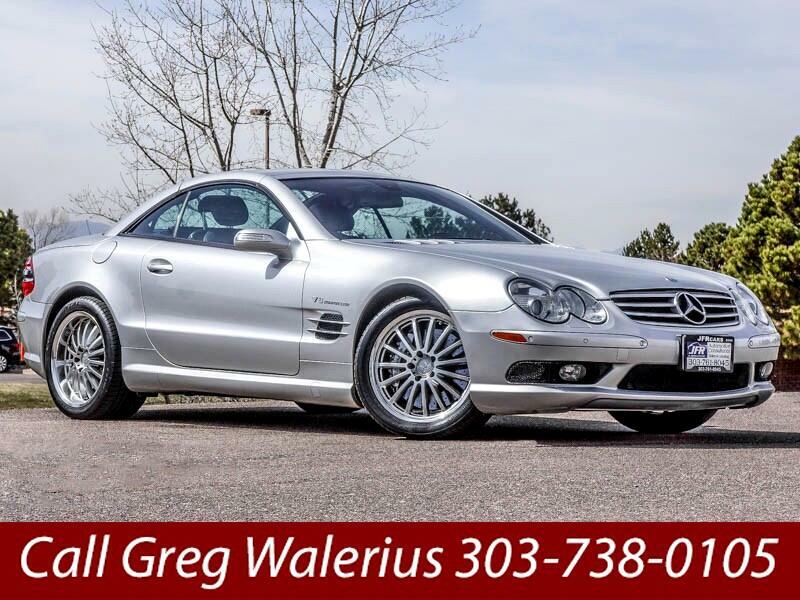 Used 2005 Mercedes-Benz SL-Class SL55 AMG for Sale in Littleton CO 80120 JFR & Associates, Inc. This affordable Mercedes SL55 offers performance, a seductive style, and a quick-folding retractable hardtop. The ride and handling of this sports car are exquisite, and it's fun to drive. When the hardtop is up, the cabin is so quiet; you would never know you're driving a convertible. With this Mercedes SL55, you get comfort, power, handling, and performance all in the best looking car in the market. The balance between sport and luxury is magnificent in this car. It loves to hug the road while giving you the feeling of pure luxury. This Mercedes SL55 comes with a wide array of options like a rear spoiler, rain sensing wipers, navigation, memory seats, heated exterior mirror, cooled front seats, CD changer, alloy wheels, plus lots more to make your driving experience more pleasant. You are cordially invited to take this Mercedes SL55 for a test drive and discover for yourself why this car is so popular. Contact us today and schedule your test drive.